Someone I love was recently diagnosed with obsessive-compulsive disorder, aka OCD. This is a specific kind of anxiety disorder, less about being neat and tidy, and more about not-so-fun things like sometimes disturbing thoughts randomly popping into your head and being convinced something bad is going to happen if you don’t do x. Whatever x happens to be, and it’s specific to the person. John Green has OCD. (This is a lovely podcast where he talks about it.) 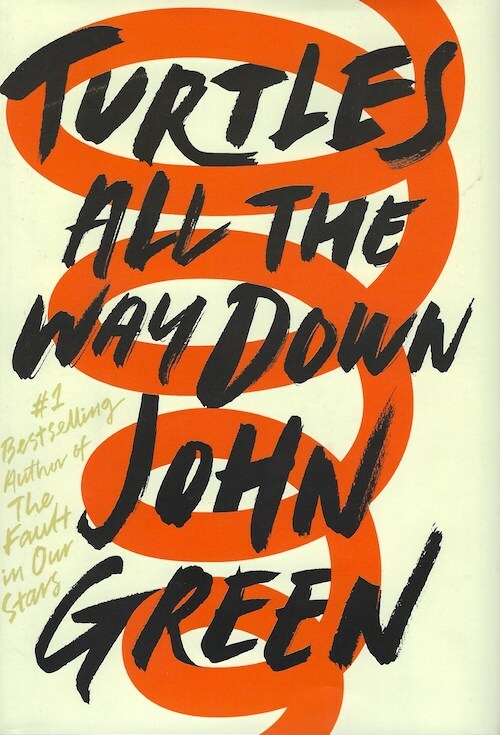 Turtles All the Way Down is about a teenaged girl with OCD. 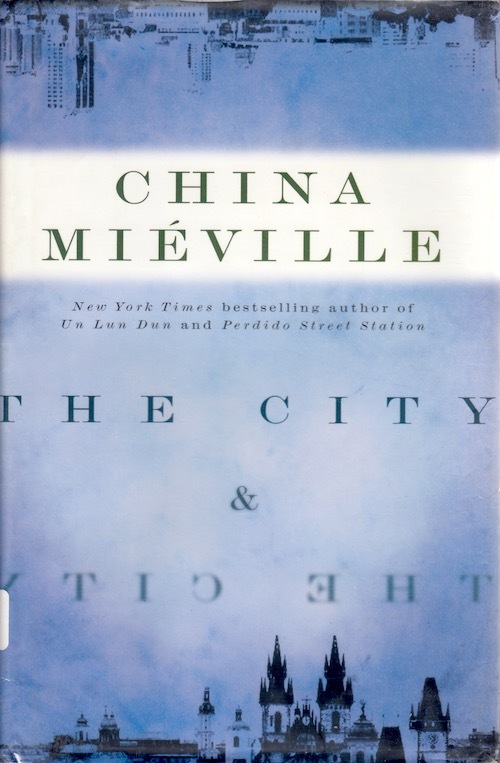 So I read this book not from an enjoyment standpoint, but from a help-me-learn-what-it-feels-like-to-have-this standpoint. For me it did a good job, especially showing Aza’s deterioration because of her refusal to regularly take her medication. (Seriously: TAKE YOUR MEDS, KID. Love, a mom) It’s all handled with a deft and loving touch and explains so, so much. Turtles All the Way Down helped me, the story was enjoyable, and I would recommend it to anyone who wants to know more about what living with OCD is actually like. 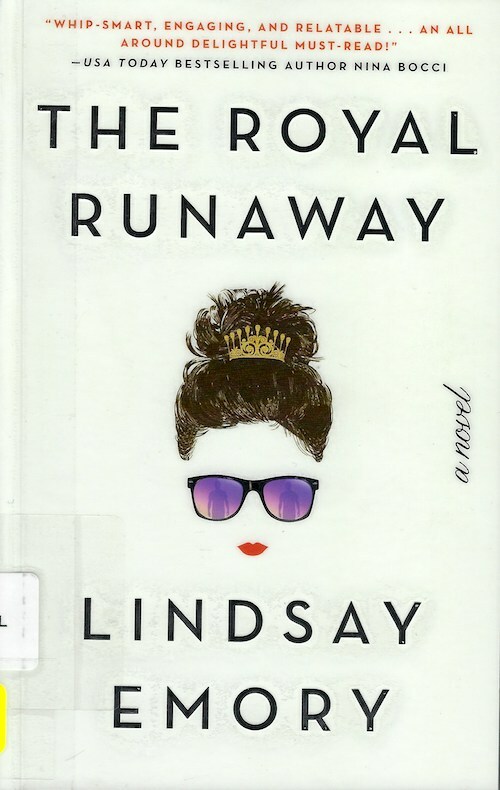 If you are looking for entertaining brain candy, The Royal Runaway is your book. Princess Thea gets caught up in an international investigation when her fiancé just doesn’t show up at the altar during their wedding. Well, he doesn’t show up at all – they don’t make it to the church. Everyone thinks he’s a cad, she nurses a broken heart, and four months later she’s getting on with things. Until someone starts investigating exactly what happened to her former fiancé. 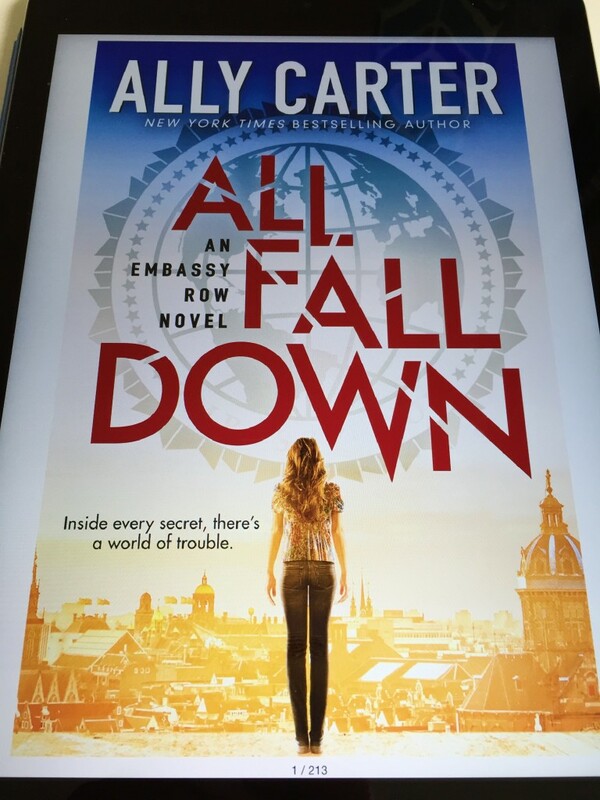 It’s got old-school James Bond style investigative fun and intrigue and it’s all told from Princess Thea’s point of view so there’s none of that icky misogyny. Recommended for when you need something to escape from the real world. Why are all detective stories based in the 1930s? 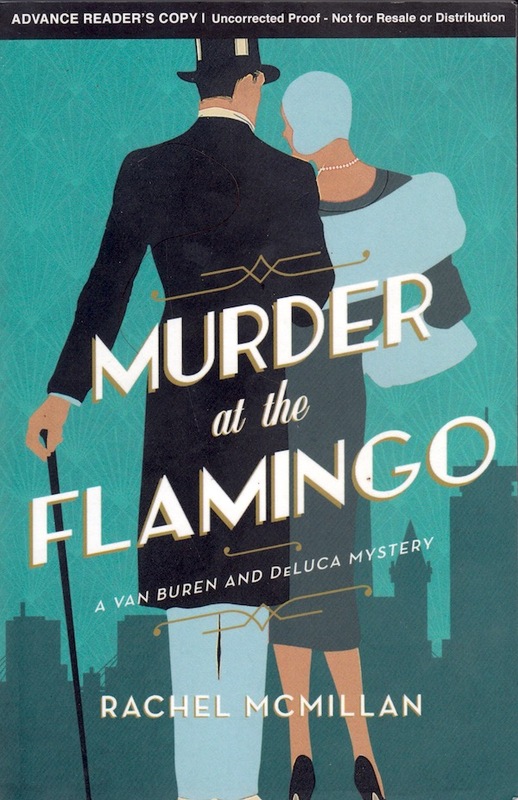 Murder at the Flamingo was a promising start to a murder mystery series. There’s enough set-up so that you understand who the protagonists are and where they’re coming from. (Maybe too much? It could have done with being slightly faster paced.) But the mystery is still intriguing. I stayed up too late one night because I just wanted to know who did it already. 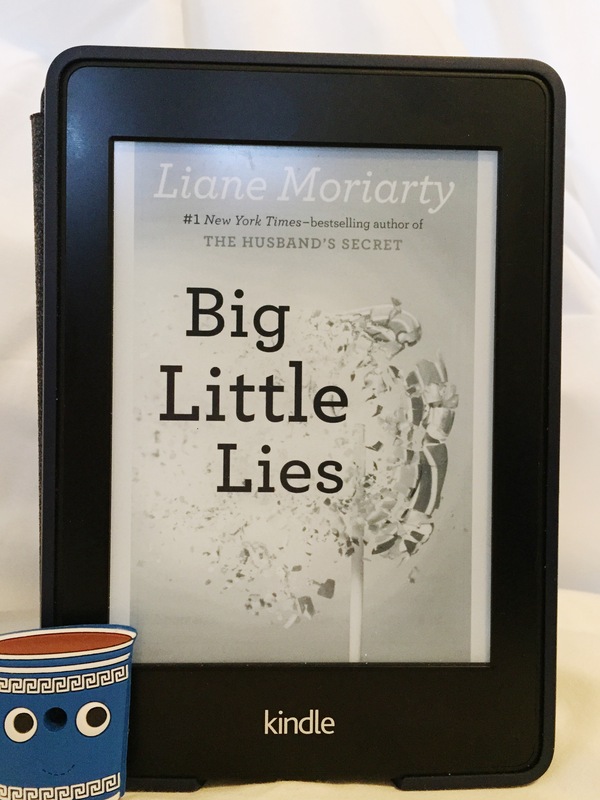 DeLuca has chronic anxiety – not something you normally see in a dapper 1930s detective – and Van Buren is a lovely heiress who’s decided she wants something more from life than being a lady who lunches. She is definitely a bit stereotypical, but I still liked her. I’ll look for the next one when it comes out. Is it ever ok to lie to someone? A little white lie or a big fat lie, either one, I won’t judge you. Sometimes we do things during wartime we can’t or shouldn’t admit to later. Sometimes we’re not allowed. Sometimes, it’s just a little white lie, to spare your feelings or to make ourselves feel better about why we did something. Sometimes we make up huge stories to hide completely from – well. If we told you that wouldn’t be hiding now would it? Recommended, though I do prefer the audio version of these books. 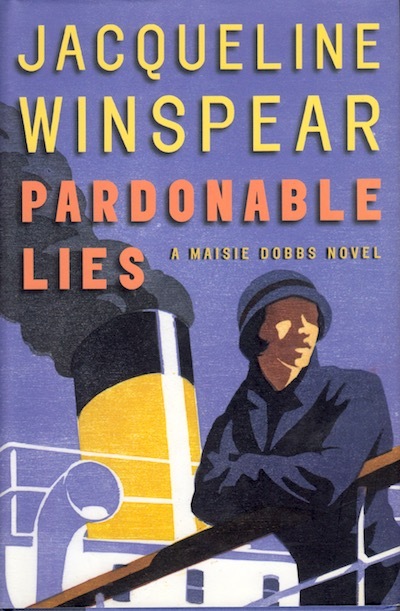 I’ve read other books in the Maisie Dobbs series, but never the first one. So, it was a pleasure to get her backstory, to learn where she came from and what a truly extraordinary woman she is. 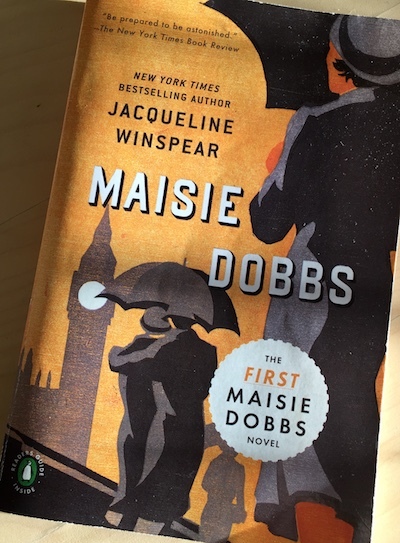 The Maisie Dobbs series takes place in London in the 1930s. She’s a private detective, well-read and thoughtful, who solves crimes, mostly murder, amongst a certain class of people. (They may not all be a certain class, but they are all filtered through that certain class’s lens.) Maisie has humble origins, but has worked hard to grow out of them. In Maisie Dobbs, we learn that she went to work as a maid for a progressive wealthy woman who caught Maisie working her way through the library before her morning shift started. Instead of firing her, she found her a tutor and sent her to college; Maisie dropped out to go be a nurse during WWI. It’s a characterization that is at once intelligent and practical and will appeal to anyone who wants to put their world in order. 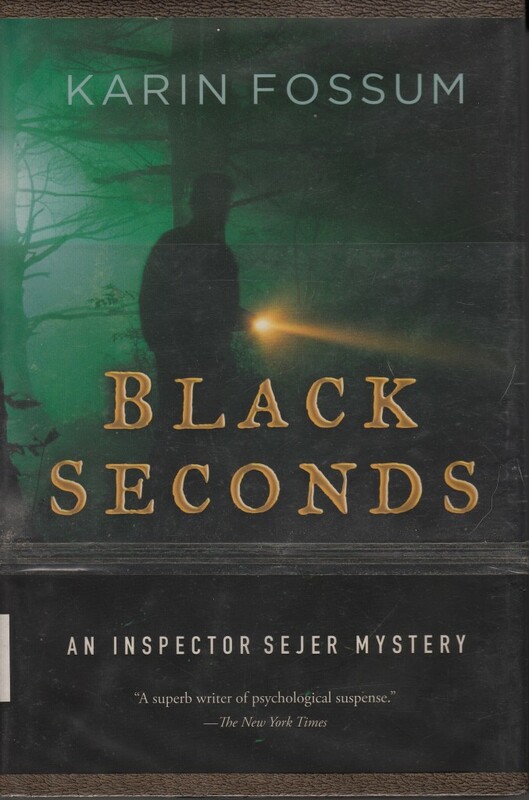 It’s a slim book, and the mystery takes up only about a third of the story. The rest is devoted to the backstory and setting up the relationships as they are now. 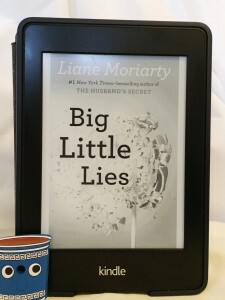 It is a book designed to kick off a series. It’s done its job well. Black Seconds is a mystery. At first, it might just be a disappearance. A young girl has left to ride her bike to the store for a magazine and some candy and never comes home. But as time goes on, it becomes more. It becomes about mistakes and her family and a particular friend she’s made who maybe isn’t entirely right in the head. Black Seconds sounds like it should be about something horrible, but it really isn’t. Or maybe it is, and you just don’t realize it because Karin Fossum’s spare writing treats all her characters with dignity and respect. No one is a caricature, no one’s exaggerated to make a point. It’s very stereotypically Scandinavian – Fossum is Norse, and the book takes place in small-town Norway. I quite enjoyed it. It’s a good story, that’s why. It’s well told, it’s gripping (I stayed up late to finish it), and it made fun of school politics from the parents’ point of view. School politics always deserve to be made fun of. I like this trend of writing more books aimed at working parents that treat the parents as people who both love their children and want to have lives of their own. I’m avoiding writing about the murder mystery part of the book because I don’t want to spoil it, because I suspect many people will read it. It’s very well done.